"Voclosporin is an immunosuppressant, that has the potential to improve near- and long-term outcomes in lupus nephritis. It has been granted “fast track status” by the U.S. Food & Drug Administration (FDA)." "Voclosporin has the potential to become a best in class medication and the first approved treatment for LN in the U.S. and Europe, effectively altering the current treatment paradigm for the disease." Aurinia is committed to working in areas of high unmet medical need and is poised to deliver the first approved therapy in the U.S. and Europe for the treatment of lupus nephritis, or LN. Aurinia Pharmaceuticals (AUPH) is a late-stage biopharmaceutical company providing novel products specifically engineered to treat a limited, targeted patient population suffering from serious disease states for which there is a high unmet medical need. Voclosporin, an investigational drug, is a novel and potentially best-in-class calcineurin inhibitor with clinical data in over 2,000 patients across indications. Voclosporin is an immunosuppressant, with a synergistic and dual mechanism of action that has the potential to improve near- and long-term outcomes in lupus nephritis (LN) when added to standard of care mycophenolate mofetil. It has been granted “fast track status” by the U.S. Food & Drug Administration (FDA). Voclosporin has the potential to become a best in class medication and the first approved treatment for LN in the U.S. and Europe, effectively altering the current treatment paradigm for the disease. Results: Announced top-line results from its Phase IIb AURA-LV study in lupus nephritis. At 48 weeks, the trial met the complete and partial remission endpoints, demonstrating statistically significantly greater CR and PR in patients in both low dose and high dose cohorts versus the control group. Fast Track: In clinical trials, Voclosporin has been shown to be especially effective in the presence of low dose steroids with rapid reduction of LN inflammatory markers and overall improved renal stability. Established: Efficacy of calcineurin inhibition has already been established. Voclosporin has a well-characterized safety profile (over 2,000 patient exposures across multiple years) across indications. Broad Patient Base - Announced the results of a supportive Phase I safety, pharmacokinetic and pharmacodynamic study in healthy Japanese patients which supports further development of voclosporin in this patient population. Phase III - Announced that it has selected Worldwide Clinical Trials as its Clinical Research Organization for the AURORA Phase 3 study of volcosporin for the treatment of active lupus nephritis (LN). Potential - Aurinia’s voclosporin has the potential to become the first FDA-approved treatment for LN. Collaboration - Announced it has entered into a long-term agreement with Lonza for the manufacture of voclosporin active pharmaceutical ingredient (API). For the latest Quote and News on AUPH Click Here. Dr. Glickman presently serves as the Company’s CEO and Chairman of the Board. In addition to being a Founder of the company, he previously served as the Interim Executive Chairman of the Company for the period September 20, 2013 to February 28, 2014 and as Acting Interim CEO for the period October 22, 2013 to November 5, 2013. He was a co-founder, Chairman and CEO of Aspreva Pharmaceuticals, playing an integral role in the development and establishment of CellCept, or MMF, as the current standard of care for lupus nephritis. Aspreva Pharmaceuticals was acquired by Swiss pharmaceutical company Galenica for nearly $1B in 2008. He currently serves as founding Chairman of Essa Pharmaceuticals Inc., Chairman of the Board of Engene Corporation and a Director of Cardiome Pharma. He is also a Partner at Lumira Capital, one of Canada’s most successful healthcare focused venture capital firms. Dr. Glickman has served on numerous biotechnology and community boards, including member of the federal government’s National Biotechnology Advisory Committee, Director of the Canadian Genetic Disease Network, Chairman of Life Sciences B.C. and a member of the British Columbia Innovation Council. Dr. Glickman is the recipient of numerous awards including the Ernst and Young Entrepreneur of the Year, a recipient of both BC and Canada’s Top 40 under 40 award, the BC Lifesciences Leadership Award and the Corporate Leadership Award from the Lupus Foundation of America (LFA). Dennis has been the Chief Financial Officer of the Company since 1998 and is responsible for the financial and administrative operations of the Company. During his tenure, he contributed significantly to one of the largest Canadian biotechnology PIPE transactions, totaling $52 million US dollars and was involved in the multi-million dollar Roche licensing agreement of voclosporin in 2002. In addition, he played a crucial role in executing the merger of Isotechnika and then privately held Aurinia Pharmaceuticals in November 2013. For six years prior to joining Isotechnika, he was the controller for a private industrial distribution company and a Senior Manager in public accounting at KPMG. Mr. Bourgeault obtained his chartered accountant designation in 1984. Neil co-founded privately-held Aurinia Pharmaceuticals in 2012. He is an experienced pharmaceutical physician with 18 years of clinical development and medical affairs experience in both large pharma and biotech. He is a recognized expert in rare-disease drug development and is widely published in this field. Neil joined Aurinia from Vifor Pharma, formerly Aspreva Pharmaceuticals (NASDAQ:ASPV) where he held the position of Vice President, Research and Development, being the lead clinician in the development of CellCept in rare diseases. Neil led the CellCept Clinical Development teams of over 50 people that saw the completion, reporting, and publication of studies in pemphigus vulgaris and myasthenia gravis (both industry firsts), and the successful landmark lupus nephritis study called the Aspreva Lupus Management Study (ALMS). Prior to Vifor & Aspreva, Neil held a variety of positions at Roche in both Global Clinical Development and Medical Affairs in transplantation, virology, and auto-immune diseases. While at Roche, Mr. Solomons led a diverse team in the development and implementation of post-marketing studies with a budget exceeding $15 million for its transplantation (CellCept and Zenapax) and virology (Cytovene) franchises. Michael is currently Chief Operating Officer of Aurinia Pharmaceuticals Inc. He was formerly CEO, director and co-founder of the privately held Aurinia Pharmaceuticals Inc., which merged in 2013 with the former Isotechnika Pharma Inc.
Michael is a biotech/pharmaceutical executive with over 18 years of industry experience. Michael joined Aurinia from Vifor Pharma where he held the position of Director, Global Business Development & Licensing. Prior to Vifor, Michael was a key member of the business development team that saw Aspreva sold to Galenica for $915M. Prior to this, Michael held a variety of progressively senior commercial positions at Schering-Plough. Most recently, he was responsible for the Rheumatology business unit for Remicade in France. In this role, he had full profit and loss responsibilities and had direct responsibility for the sales team, the marketing team and the infusion access team. In addition, while at Schering-Plough, Michael was the brand manager responsible for the Canadian launch of Remicade, which ultimately became the most successful product launch in Canadian history. Michael started his career in the industry in the sales organization of Schering-Plough where he received multiple awards and recognition while rapidly progressing towards the prior mentioned roles. Copyright SmallCapReview. All rights reserved. SCR is not a Registered Broker/Dealer or Financial Advisor. All materials presented on our website and individual reports released to the public through this website, e-mail or any other means of transmission are not to be regarded as investment advice and are only for informative purposes. Before making a purchase or sale of any securities featured on our web site or mentioned in our reports, we strongly encourage and recommend consultation with a registered securities representative. This is not to be construed as a solicitation or recommendation to buy or sell securities. Past performance of our profiled stocks is not indicative of future results. The profile and opinions expressed herein are expressed as of the date the profile is posted on site and are subject to change without notice. No investor should assume that reliance on the views, opinions or recommendations contained herein will produce profitable results. SmallCapReview may hold positions in securities mentioned herein, and may make purchases or sales in such securities featured on our website or within our reports In order to be in full compliance with the Securities Act of 1933, Section 17(b), SCR will disclose in it's disclaimer, what, if any compensation was received for our efforts in researching, presenting and disseminating this information to our subscriber database and featuring the report on the SmallCapReview website. 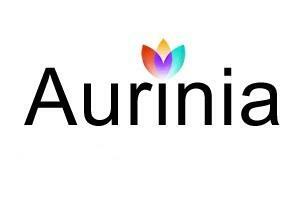 SmallCapReview has not been compensated for its efforts with regards to Aurinia Pharmaceuticals. As with any stock, companies we select to profile involve a degree of investment risk and volatility, particularly small-caps. All investors are cautioned that they may lose all or a portion of their investment if they decide to make a purchase in any of our profiled companies.